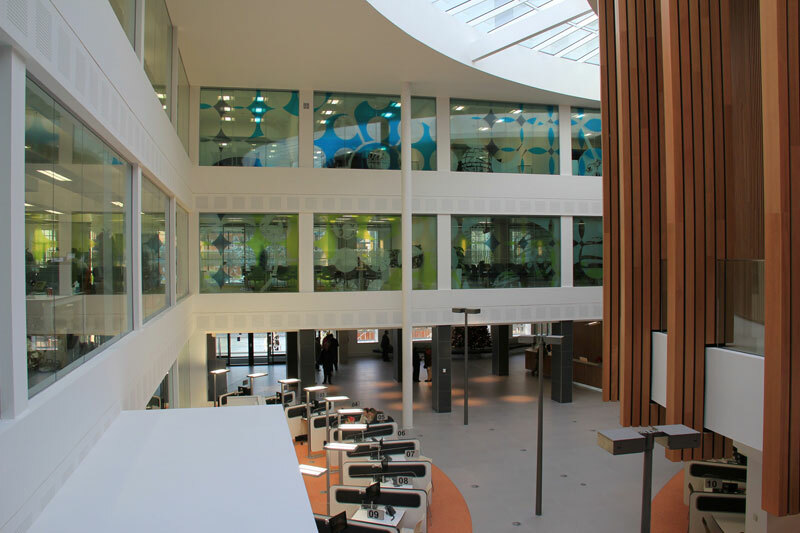 Having succeeded at tender stage Bonwyke again worked closely with BAM Construction to complete their project in the complete redevelopment of the civic offices for Derby City Council. 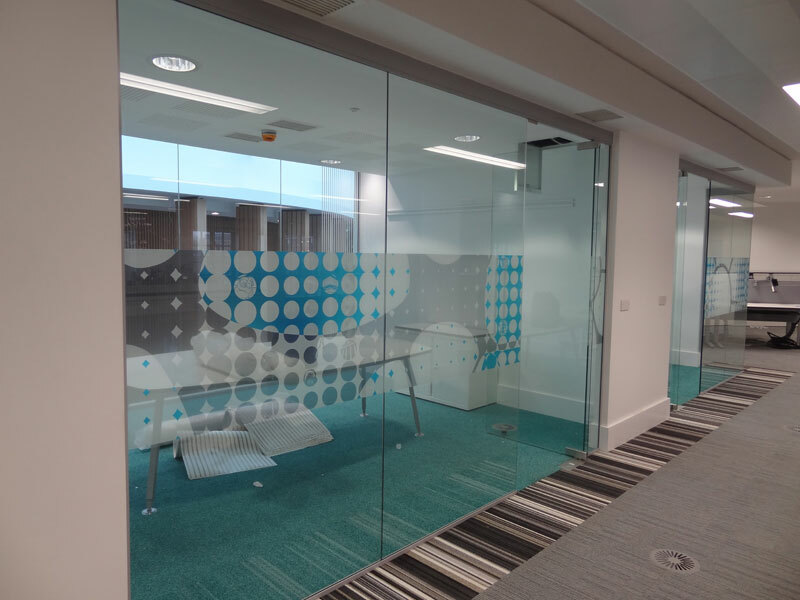 Our in house team of designers liaised closely with Richard Wagenhauser and his team at design architects Corsephine + Wright to get the right balance of colour, opacity and transparency for the glazing graphics. Richard required a transparent effect for the colour, which normally isn’t possible in a standard print process, but our Head of Design, Jon Luangviseth, achieved the required effect by cleverly altering the print/design process and then printing through our Oce UV wide format printer. The real challenge on the site was to complete both Atria walls standing at 17m each and 7m wide. 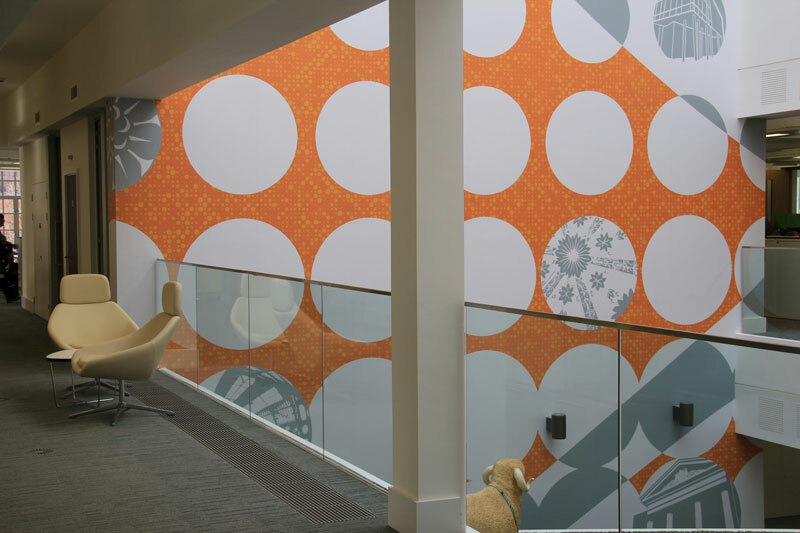 We were tasked to manufacture and install a wall graphic to each section. Again liaising with the BAM site team we constructed a scaffold system to allow access and then went about installing the abstract design, utilising our own proLAM printing material to give vibrant colour but a high level of tough protection to the printed surface. 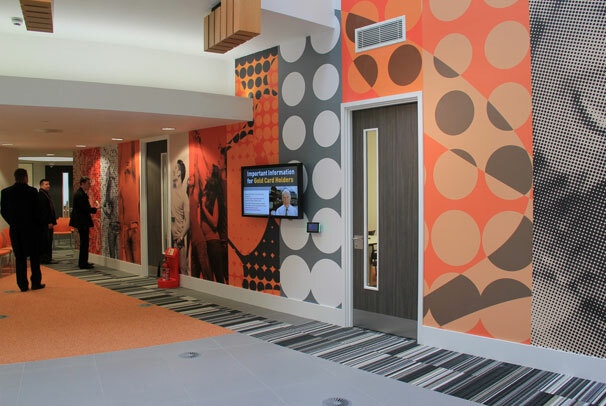 Our Contracts team project managed the installation from start to finish, completing over 1500sqm of graphics inside of the scheduled four week site duration.